Using Scotts® STEP® 4 Fall Lawn Food is a great way to strengthen your lawn before the winds of winter cut across it. It helps your lawn build stronger roots for the winter. You'll see a thicker, greener lawn in spring thanks to using Scotts® STEP® 4 Fall Lawn Food. 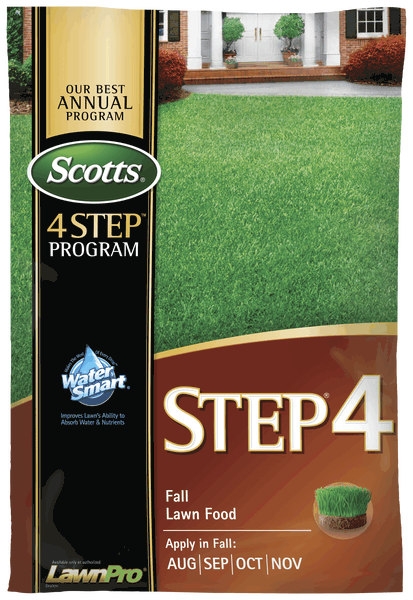 Utilize the entire Scotts® 4 Step program for a better lawn! Apply in fall to any grass type. Can be applied any time during the growing season, but allow 4 to 6 weeks between applications.